Gates, NY (April 9, 2019) – On Monday night, April 8th, police were dispatched along with emergency medical crews, to the scene of a motor vehicle collision that occurred along Buffalo Road for reasons that have not been confirmed. The accident, which police currently believe to have involved no more than two vehicles, was reported to have happened at 5:16 p.m. According to authorities, the collision occurred in both the eastbound and westbound lanes of Buffalo Road at or near the intersection with Howard Road. Emergency medical crews were immediately sent to the crash site where they attended to at least one injured party. The current condition of the injured victim or victims has not been reported. Police have not commented on the number of people involved in the accident as the details are likely to be under investigation at this time. No further information has been provided. Our sincere sympathies are genuinely extended to the injured victim or victims of this crash, first and foremost. Following a car accident in New York, we understand that it can be difficult to focus on anything other than your recovery, which should rightfully consume the bulk of your attention. 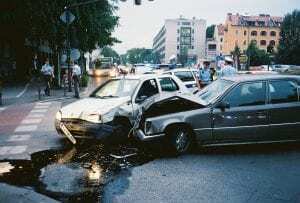 It is terribly important to know, however, that you may have substantial rights moving forward, particularly when an accident is caused by a negligent party. Our New York accident attorneys at Hach & Rose have committed their lives to assist those who have unfairly suffered due to the actions of another person or other irresponsible entity. We realize that there is nearly nothing as difficult as dealing with the effects of a sudden collision, and we are here for you 24/7 to answer any questions you may have. If you have suffered injuries in a New York car accident due to no fault of your own, please do not hesitate to call 212-779-0057 today.